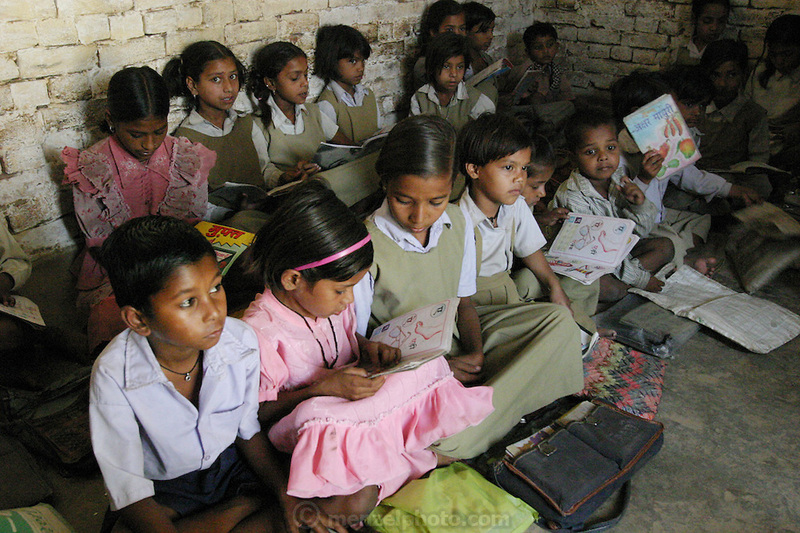 IND.MWdrv04.058.x..Seema Yadav, in pink, reading in her school classroom, wasn't yet born when the Material World family portrait was taken in 1994. Ahraura Village, Uttar Pradesh, India. Revisit with the family, 2004. The Yadavs were India's participants in Material World: A Global Family Portrait, 1994 (pages: 64-65), for which they took all of their possessions out of their house for a family-and-possessions-portrait. Child, Children, Education..